Two weeks ago on a warm, lazy Saturday, a Facebook notification popped up on my newsfeed saying there was a spring festival going on in my town. I texted my friend Elena and we decided to go together. Before leaving my house I looked up the location on google maps: “Cerro Merced – 52min walk”. It was far but we had time to kill and it was a beautiful day to be outside. 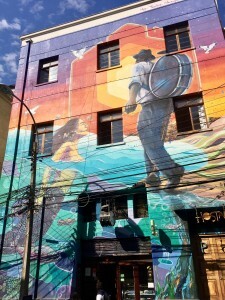 We met in the bustling city center, following my map up the steep, long, touristy hill where Pablo Neruda lived. At this point we were hot, sweaty, and tired but we kept on following the hill up, higher and higher. Just when we thought it would end another hill would open up in front of us, seemingly never-ending. “Just a little bit more,” I kept on assuring Elena, “it’s just up this hill”. I’m not really sure when it happened, but as we climbed higher the concrete sidewalks turned into dirt paths, the noisy commotion of the city turned into birds chirping, and the sea of colorful houses turned into rolling green hills sown with makeshift shacks. 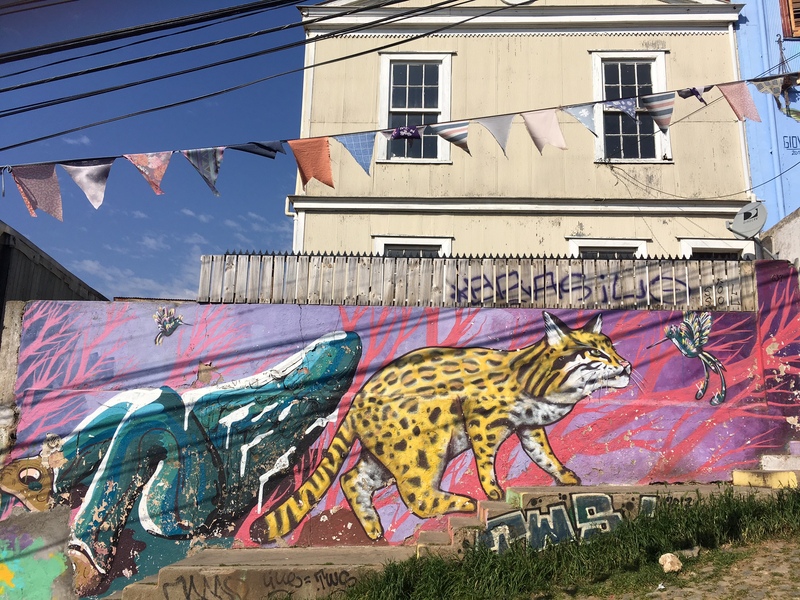 Like magic, the chaotic port town of Valparaiso had become a tranquil countryside that I never knew existed. The hills that I looked up at every day, in a town that I thought I knew so well, contained a whole other world – foreign to me. 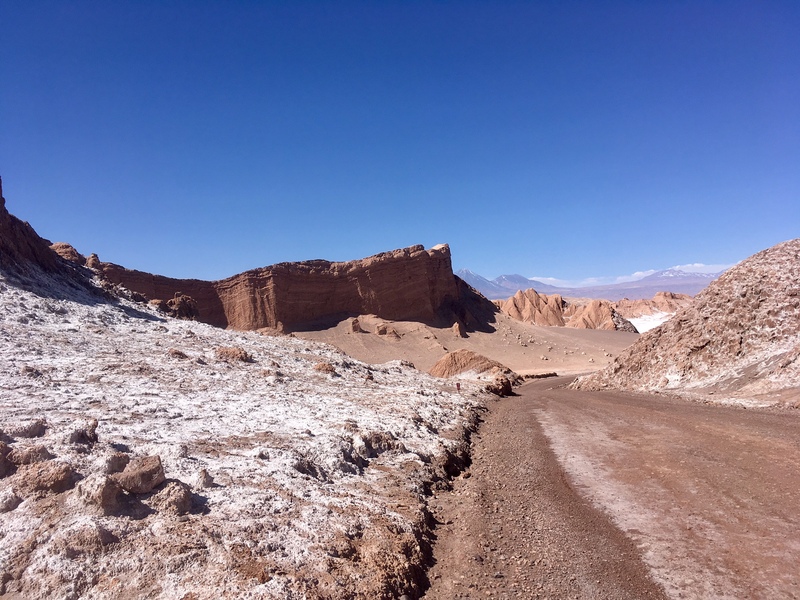 After getting a few weird looks from locals and a conversation with a helpful Chilean man we realized that my map had steered us wrong – this was not Cerro Merced and we were not going to find a spring festival. Our 52 min walk had become an epic 4 hour city-mountaineering adventure. 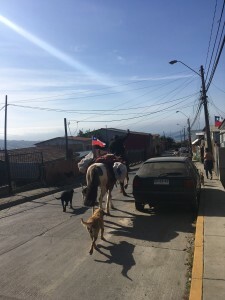 I turned around and out of nowhere appeared two men on horseback, surrounded by a sea of barking dogs, nonchalantly weaving through parked cars on the street. The next day I told my Chilean friend about my adventure. He shrugged it off, acting like the magic of the city in which he lives is no big deal. And the thing is, for him, and the other Chileans that live here, it really isn’t. The bizarre, fantastic things I experience here is everyday life for them – mundane. Right now in my class on Latin American short stories we are learning about magical realism: a literary genre popularized in Latin America during the early- mid 20th century. In magical realism, the fantastic becomes mundane. Characters encounter angels, bake magical cakes, and have paranormal powers but no one acknowledges these magical elements as strange or out of place. They are treated as ordinary. Being in Chile, I can’t help but to feel like the country is a book on magical realism and I am the reader. I seem to have fantastic, bizarre encounters every day but I am the only one in awe. No one else seems to see the magic around them. Take my daily commute for example: when I hop on the bus (called “las micros” by the locals) I never know what I might encounter. I have been serenaded by hippies with guitars, enjoyed the original raps of a middle aged man with a boombox, and have even been entertained by full bands. If I am lucky, an interpretive story teller might hop on the bus and enthusiastically act out an epic, action packed short story. Sometimes, when I get on the bus, I am greeted with blacklights, blasting reggeaton music, and light up graphics of strippers- usually complete with an uncomfortable-looking old lady just trying to get home from the store. Public transportation is at the heart of most of the magic I have experienced in this country. Entering a micro is like entering into a new world – an isolated vessle where the rules of time, space, and society seemingly don´t apply; anything could happen. In Chile, the normally mundane act of riding a bus is an everyday magical experience, to the point where I actually look forward to my daily commute to school. Walking through the city is another magical part of my day. 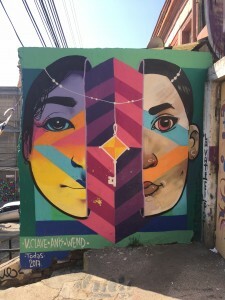 The city of Valparaiso is filled with large, colorful, psychedelic murals that accompany me wherever I go. 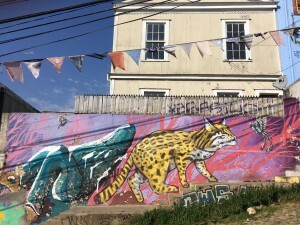 It´s not uncommon to turn onto a new street and be delightfully greeted by stunning new art. In Valparaiso it is almost impossible for your eyes to get bored, there always seems to be something beautiful to look at – even the garbage trucks are painted with murals. My walks through the city always include interactions with the street dogs: the most successful hustlers of Chile. Except for their dirty coats you wouldn’t be able to tell the difference between a street dog and house dog. They are surprisingly fat and happy, due to the fact that the whole town comes together in unspoken solidarity to care for them. These dogs know how to navigate the city better than I do. I have witnessed dogs wait for the green light at the crosswalks and even ride the micro to the produce market (where they have full access to all the rejected food). I am convinced these dogs have magical powers. Magic also manifests regularly in Chile’s determined dedication to fútbol. One time I made the mistake of showing up to class during a national soccer game. Me and the only other gringa in the class were the sole ones there. Class had been cancelled without warning because, duh, how could anyone come to class when the fate of Chile’s international dignity is at stake? On my way back home the streets, which are usually bustling with people and traffic, were silent and almost completely empty. The whole country had magically disappeared. It felt wrong to be outside, almost as if the rapture had occurred and I was the only one left. Even the physical terrain of Chile holds magic. 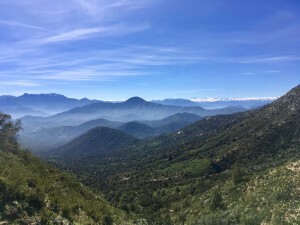 Almost every week I have felt an earthquake, or as the locals call them, “temblors”. The word earthquake or “terremoto” is only deemed worthy of use for magnitudes 7.0 or greater. Earthquakes here are so common that when they do happen nobody seems to care, other than the occasional “ay chucha!” (oh sh**!) from my host dad when the movement messes up his electrical drawing plans for work. 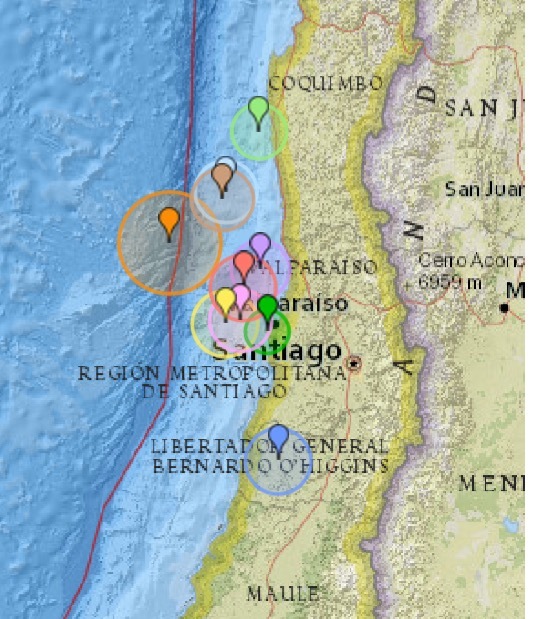 In Chile, talking about last night’s earthquake is like talking about the weather. The usual response to “did you feel the earthquake last night?” is “nah, I slept through it,” at which point I find myself lying by saying “yeah, me too,” pretending as if I didn’t wake up terrified, ready to run out the door, and going over tsunami evacuation plans in my head. Unlike me, the whole country has an incredibly relaxed attitude towards weekly reminders of looming natural disasters. However, these weekly terrors are also reminders of the awesome powers of the earth and the beauty that the movement of the terrain creates. Thanks to its seismic activity (and science that I won’t get into) Chile has an astonishingly diverse terrain. The geography of Chile is magic in itself. If you were to travel the whole country from north to south you would go from the driest desert on earth to gigantic glaciers and ice-fields, with almost every climate imaginable in between. They are critical of their society – immune to the everyday magic that exists here. But then I remember a couple years back when my family hosted an exchange student. She was amazed and entranced by U.S. culture. Small things that I took for granted everyday would nearly bring her to tears in awe. At that point I would just laugh because I didn’t really understand how my everyday life could seem so glamorous and fascinating when to me it was just normal and mundane. The thing is, my everyday, mundane life is magical. Maybe not to me, but it is to someone else who is unfamiliar with my country, my culture, and my routine. When you get used to that routine, you start to take those everyday magical aspects of your life for granted. I think that may be one of the reasons why so many people are drawn to travel: to get out of our routine, to experience the fascinating and enchanting routine of another, and to find the everyday magic in their lives. But if its magic were looking for, we shouldn’t be so quick to look past ourselves. I know when I get back to the states I will probably mold right back into my ordinary routine. Life won’t be nearly as enchanting as it is here. No more party micro rides, no more hustling street dogs, no more daily street art, and certainly no more weekly earthquakes. But that doesn’t mean an end to the magic. As I readjust to U.S. life I am going to try my hardest to not just settle back into the ordinary. 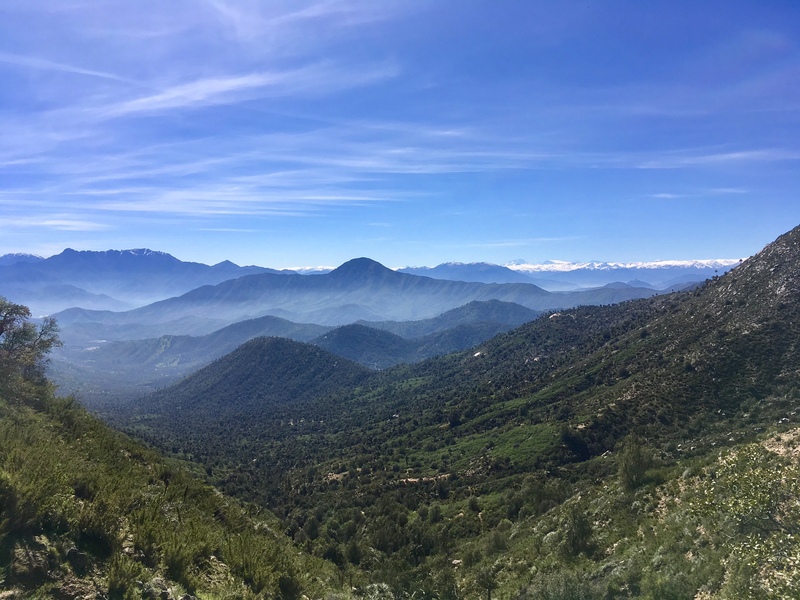 I am going to make a point to find the bizarre and fantastic in my life because now I know that magic exists – and not only in Chile. If there’s one thing Chile has taught me, it’s that we all live fantastic, bizarre, and magical lives, we just don’t always have the right perspective to see it. This entry was posted in Uncategorized by Sarah Petrillo. Bookmark the permalink. 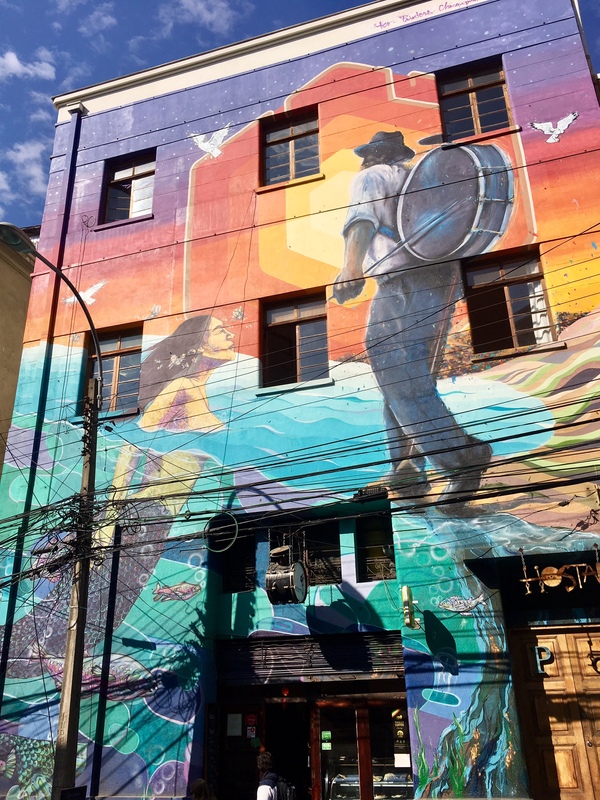 A gringa studying abroad in Valparaiso, Chile for the fall 2017 semester.